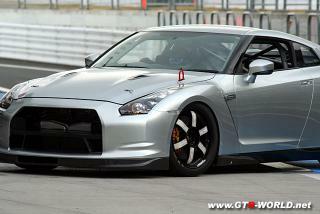 Nissan R35 GT-R race car ? Looks like this might be a Super Taikyu car. Has a cage and a couple other elements. They got rid of the stupid quad exhaust ....yeaaa. 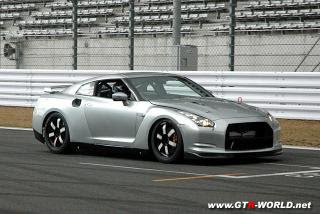 "December 1st, at the Fuji speedway, prototype of the production race/lace car of NISSAN GT-R test drive. 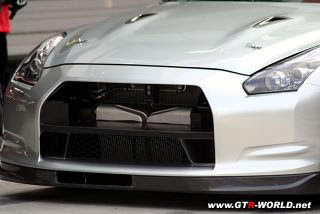 As for driver shadow mountain Masami and the Nissan Motor Co., Ltd. vice president Carlos Taba less." 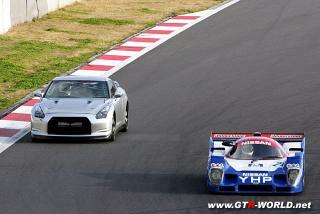 The cryptic response is that it is a test car for various developments, not just specifically Super Taikyu. Grand Am maybe ? There was a short post on GT Channel about a possible Grand Am effort.